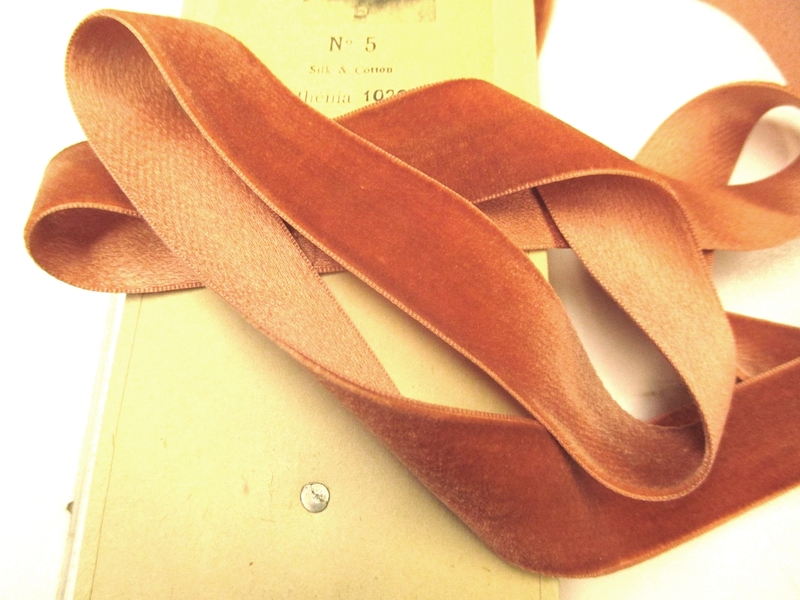 Vintage 20s 1920s velvet ribbon is fashioned of silk and cotton. 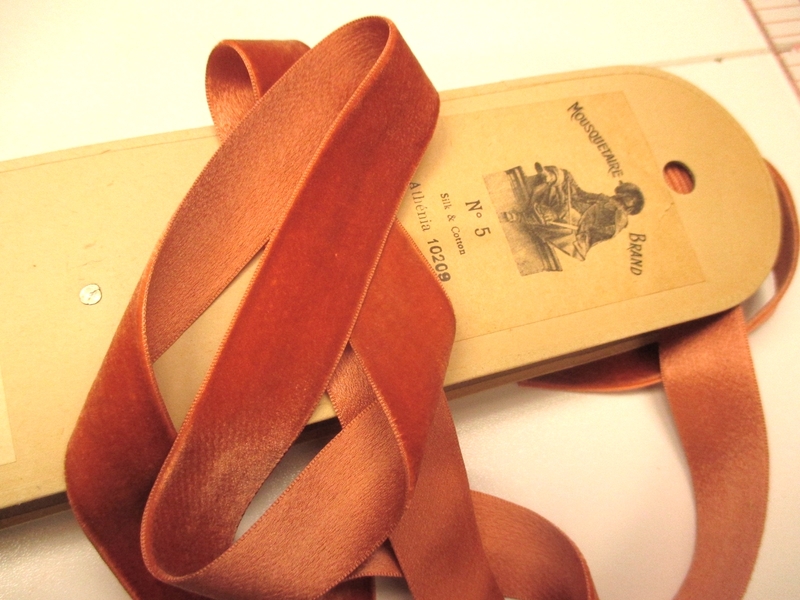 This ribbon is made in St. Etienne, France. It was a town noted for the most amazing ribbons in the world up until World War 2. 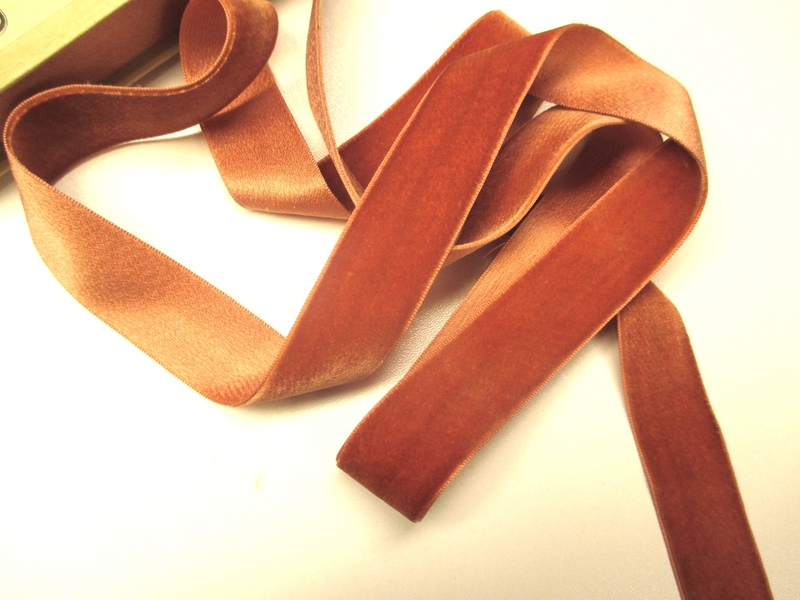 The ribbon is Mousquetaire Brand ribbon Manufactured by JB David. The color is called Athenia and is a beautiful red pink. Ribbon price is per yard. Condition is excellent; old store stock on the original bolt. 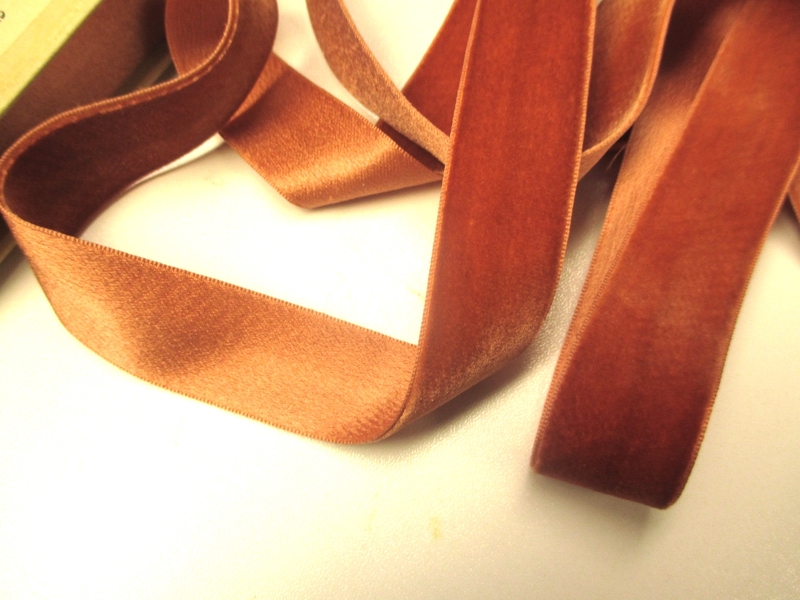 Ribbon measures 7/8" wide.